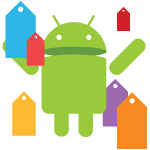 It's time once again to venture into the wide world of apps in search of deals on cool stuff. We wouldn't want you to overpay. Why? Because we care deeply about each and every one of you. Especially you. Yes, you.